The state record blue catfish in North Carolina had stood for nearly 10 years when a 25-year-old fishing guide came and broke it twice in less than 24 hours. 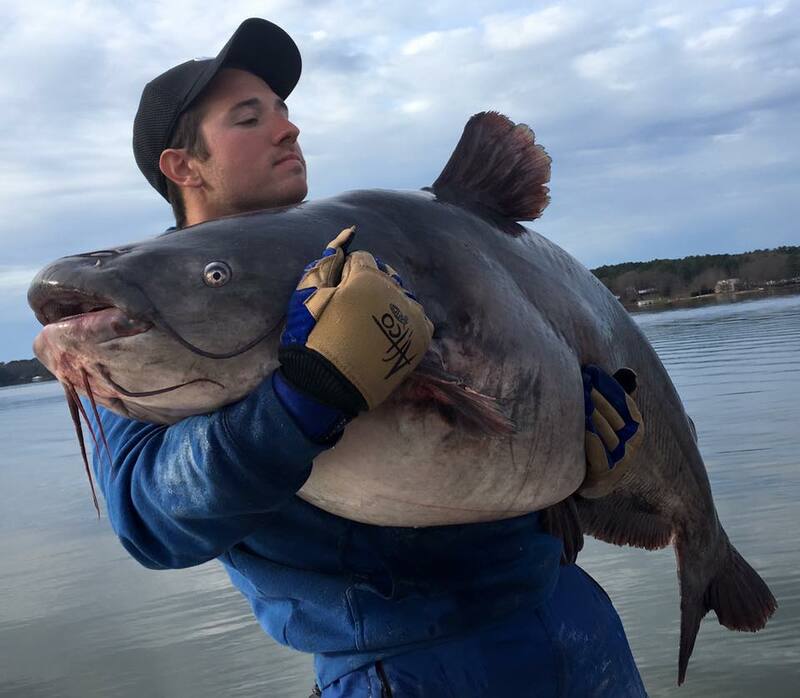 Zakk Royce, who runs Blue Brothers Catfish Guide Service, first caught a 91-pound catfish on Gaston Lake. He told the North Carolina Sportsman he babysat the fish in his boat’s live well so that he could get it weighed on a certified scale the next morning. The fish was in fact certified as a state record, beating the 89-pounder caught in 2006. But it wouldn’t matter for long because when he and his father were going out to release the whopping new state champ they decided to do a little more fishing. And what do you know? They came away with another giant. This time they had one even bigger, which turned out to be a 105-pound fish. At first he thought his line was hung up on the bottom when he gave a couple of good yanks and knew it was a big fish. “When I gave it the second yank, the fish took off and started ripping drag. It was taking out 50 yards of line at a time, running straight out, not to the bottom. It came up to the top, tail slapped, and rolled, and we both thought we had a fish over a hundred pounds,” Royce said. Once he had finally worked it to the boat, the pair had another problem. Their net just wasn’t big enough. So they muscled it into the boat, released the previous record breaker and headed back to the hardware store to have a new state record weighed. And sure enough, he broke the state record again.